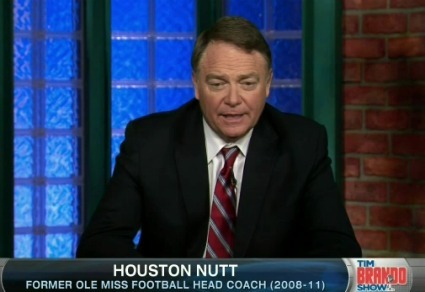 Former Mississippi head coach Houston Nutt ignited a firestorm Wednesday when he announced a lawsuit against his former employer, Ole Miss –along with head coach Hugh Freeze and Athletics Director Ross Bjork. 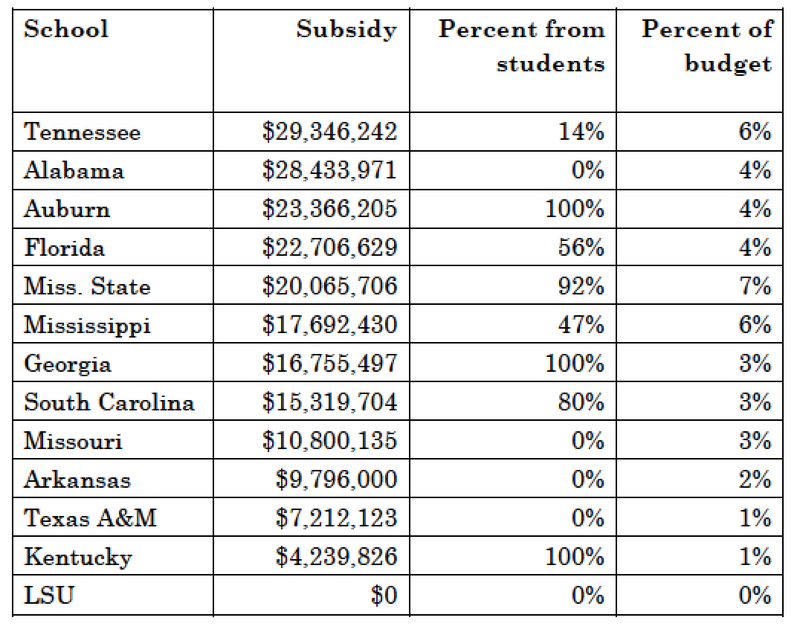 The lawsuit also creates an embarrassment for several leading college football journalists. Nutt cited articles they wrote, claiming that Freeze, Bjork and Kyle Campbell (associate athletics director for communications) had served as anonymous sources for reports and tweets that defamed Nutt. The lawsuit claims that Freeze, Bjork and Campbell spread misinformation that the NCAA case against Ole Miss significantly focused on violations during Nutt’s tenure. A simple Web or Twitter search identifies the journalists involved. It must be stressed that these are allegations, part of a lawsuit advancing Nutt’s legal interests, which at this stage of the case is a weak form of confirmation. The journalists whose words were cited (though they were not identified in the lawsuit) include Pat Forde of Yahoo, Chris Low of ESPN, Neil McCready of the RebelGrove.com site and David Brandt, AP sports writer for Mississippi. McCready has already ridiculed Nutt’s allegations on Twitter. I also bring much skepticism toward Nutt’s allegations, because according to my ethical standards (and I’m assuming theirs), they would not have allowed Freeze, Bjork or Campbell, or their representatives, anonymity to pass along such information. If you haven’t noticed, anonymous sources have been a hot topic of debate, with President Trump tweet-blasting the practice. Following that standard, Freeze, Bjork or Campbell would not be granted anonymity, because their motives were clearly self-preservation, not a disclosure of truth that would put them at serious risk. Another factor is at play here: Eventually the allegations would be publicized, and at that point the information of who was mentioned, Freeze or Nutt, would be clearly identified. The Houston-to-Hugh ratio would not be kept locked up for perpetuity; it would be disclosed. The reliability of the anonymous source’s information could be clearly judged. From that perspective, Nutt’s case would best be pleaded in a press conference, not a court case. You can tell that I am giving these journalists the benefit of the doubt, assuming that they would not allow themselves to be manipulated in that way. As the case progresses, we might get a clearer picture of what actually happened. We might not. It puts the journalists in an awkward situation, perhaps undeservedly in terms of protecting their credibility. For all journalists, however, it serves as a good reminder: Save the anonymity for sources who need it and deserve it — not for powerful, well-known folks seeking to save their own hides.